eGenix is pleased to announce the eGenix mxODBC Connect™ 2.0.1 - Python Database Interface for Python 2.5 - 2.7. For more information, please have a look at the mxODBC Connect product page, in particular, the full list of available features. The server now features all the ODBC driver compatibility enhancements provided by mxODBC 3.2, including improved and updated support for MS SQL Server Native Client, Oracle Instant Client, Sybase ASE, IBM DB2, Teradata and Netezza. Native Windows x64 builds with signed executables and a tray app rewritten in C are available for Windows 2008R2, Vista and 7 x64, so you can benefit from better performance, fewer UAC dialogs and smaller memory footprint. mxODBC Connect now uses the official IANA registered port 6632 for both plain text and SSL-encrypted communication. For the full set of changes, please check the mxODBC Connect change log. Customers who have purchased mxODBC Connect 2.0 licenses can continue to use their licenses with this patch level release. Customers who have purchased mxODBC Connect 1.x licenses can request 20% discount coupons for upgrade purchases. Please contact the eGenix.com Sales Team with your existing license serials for details. 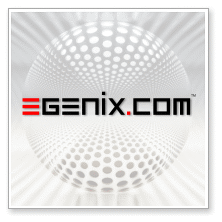 You can request 30-day evaluation licenses via our web-site or writing to sales@egenix.com, stating your name (or the name of the company) and the number of eval licenses that you need. mxODBC Connect Client is always free of charge. For more information on the eGenix mxODBC Connect, licensing and download instructions, please write to sales@egenix.com.